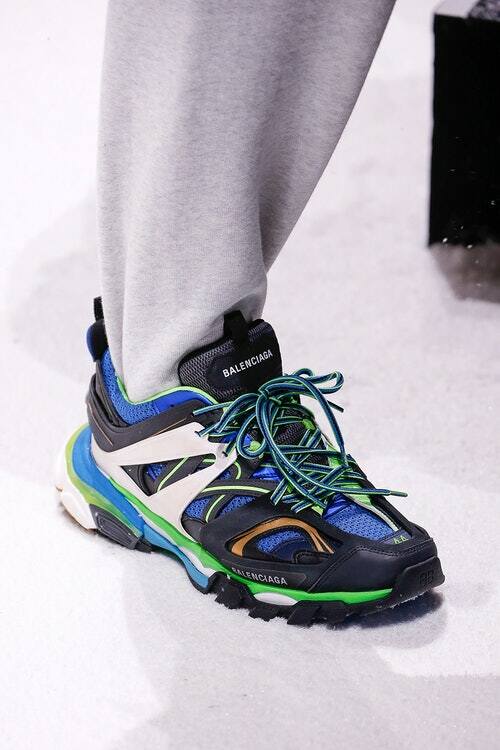 So Balenciaga’s Fall/Winter 2018 show revealed the brand’s latest sneaks. This new shoe has a rigid subdued shape than the Triple S and appears to be based on classic hiking sneakers made by the likes of Salomon and Mizuno. Multiple overlays on the upper are also carried. Dope or Trash?